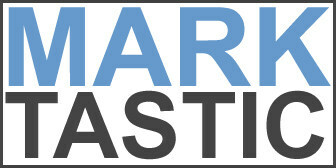 Marktastic » How to: Create Your Own Craigslist Analytics Server | It's not just Mark, it's Marktastic! I have been using Craigslist Ad Tracker [CAT] for some time to keep an eye on items listed on Craigslist. Recently, I ran into a new limit of 10 items that CAT has put in place. Frustrated, I started searching for a replacement and didn’t find much. I recalled reading about an open source Google Analytics tool called Piwik. I hadn’t tried it out yet as for most sites Google Analytics is hard to beat. I gave Piwik a try and found that it works pretty well for giving insight into ads on Craigslist. Once you get Piwik installed successfully, login to your site and then Settings -> Websites and choose Add New Website. Enter a name for your item or site. Fill out any of the other items, if you’d like and click Save. Then click View Tracking Code. Repeat this for each item you are selling. After you get sites created, wait a few hours/days and you’ll begin seeing data showing up in Piwik under the All Websites view. You can also select each item from the Dashboard tab to get more detailed info. I’m not sure why Craigslist is against providing insight into viewers of ads. I would not be at all surprised if they come up with a way to block this method too. In the meantime, however, hopefully this will give you more information about potential buyers of items you have for sale online.